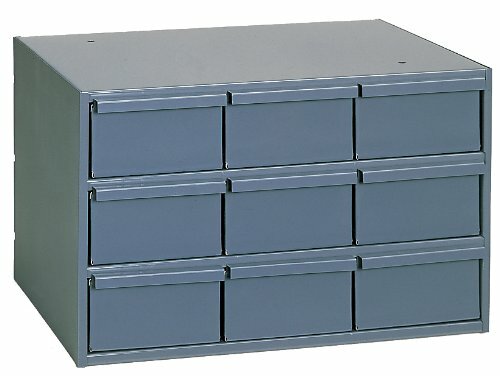 9 Drawers feature sides slotted on one inch centers to hold high impact plastic dividers in place. They also have two easy glide runners and full width handles. Cabinets can be stacked using mounting holes. Durable gray powder coat finish. Ships fully assembled. Overall measures 17-1/4" width by 10-7/8" height by 11-5/8" depth.